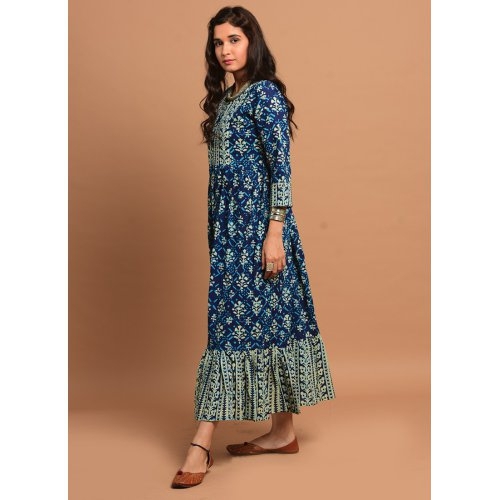 Blue Flared Printed Cotton Kurta with beautiful matching , classy & stylish looks. We are used fine quality fabrics with ethnic desgin specially for current fashion. Our fabric feel comfortable to wear all day long.